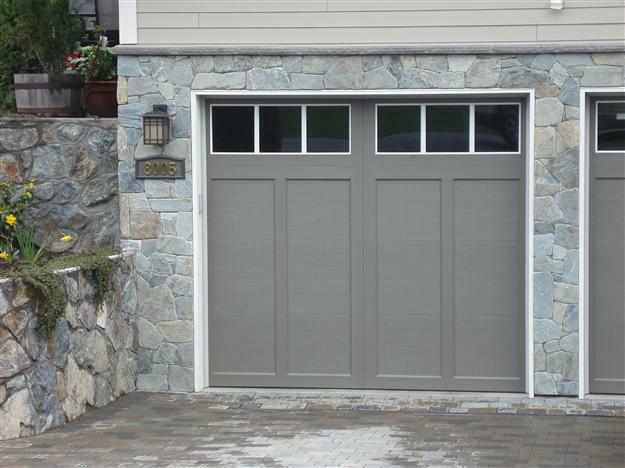 The Clopay Coachman Collection offers you both the low maintenance efficiency features of the steel door and the unique look of the traditional wood door. 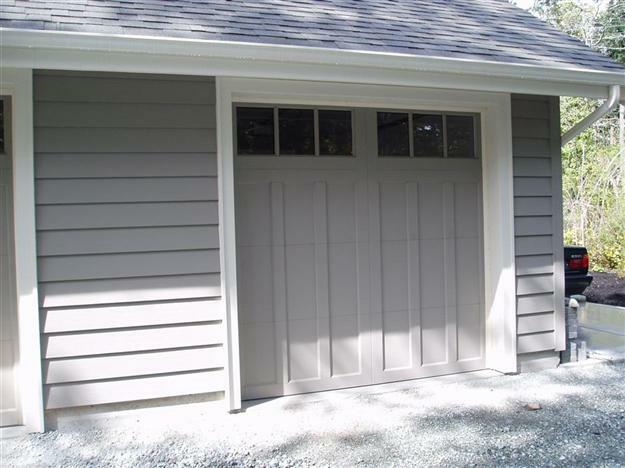 This product was designed to enhance many architectural styles such as “Arts and Crafts”, Mission, Shaker and Victorian. 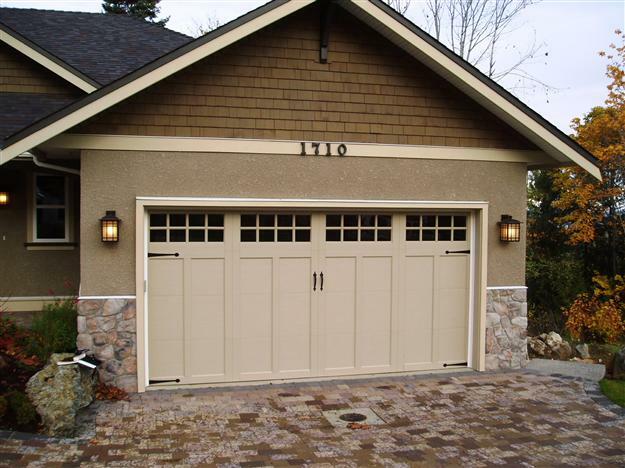 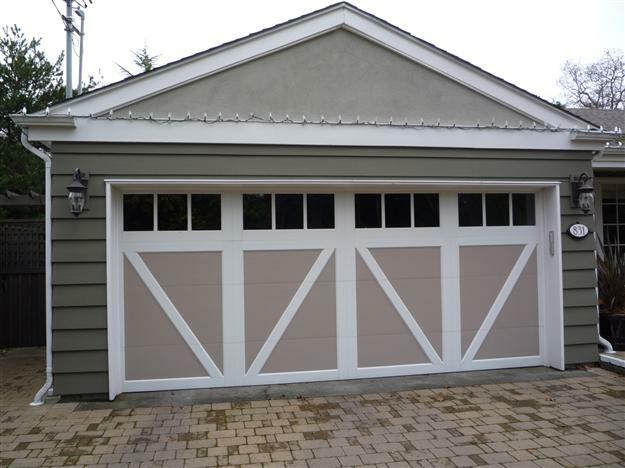 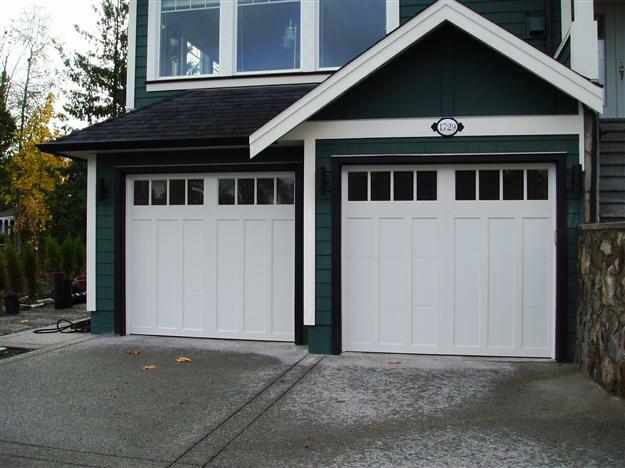 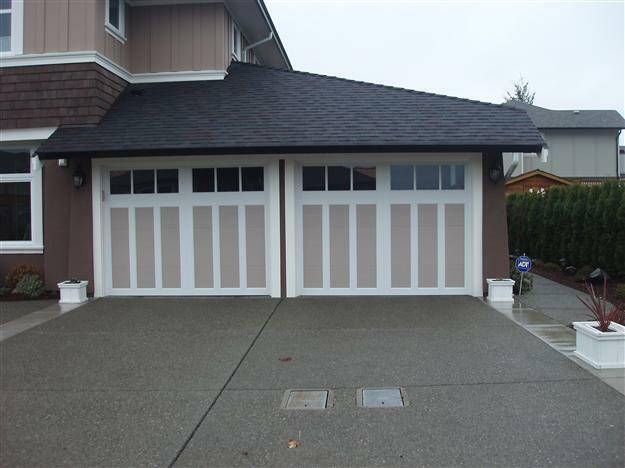 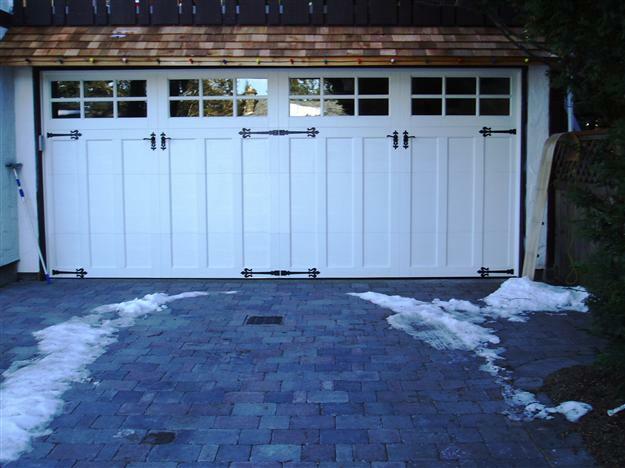 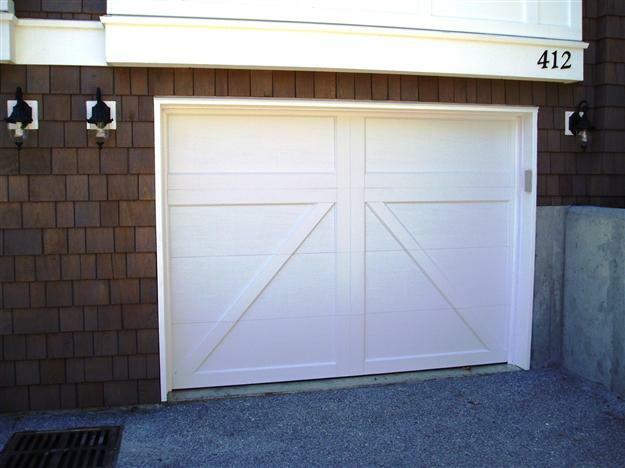 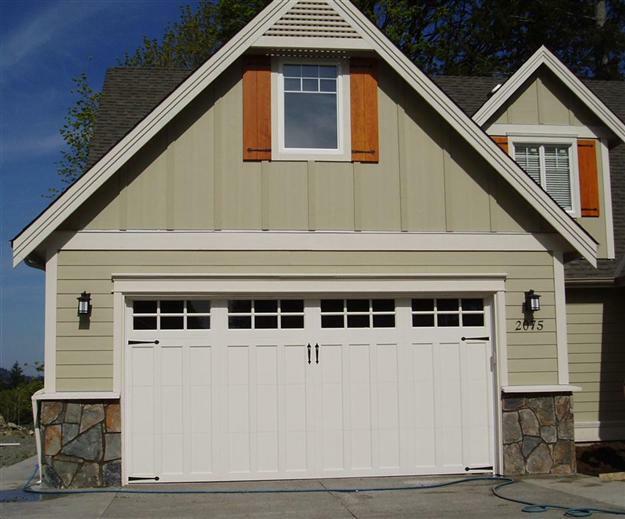 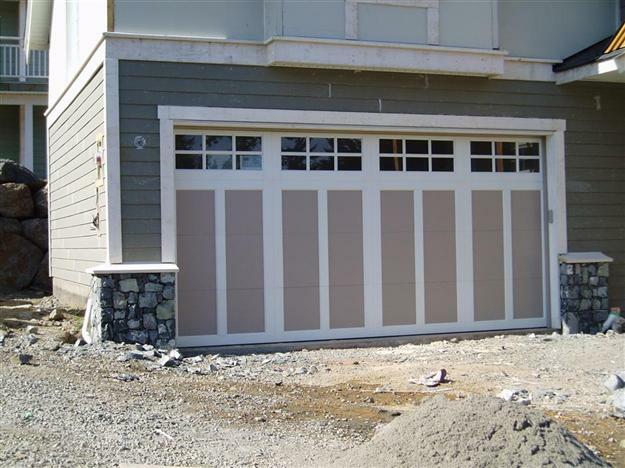 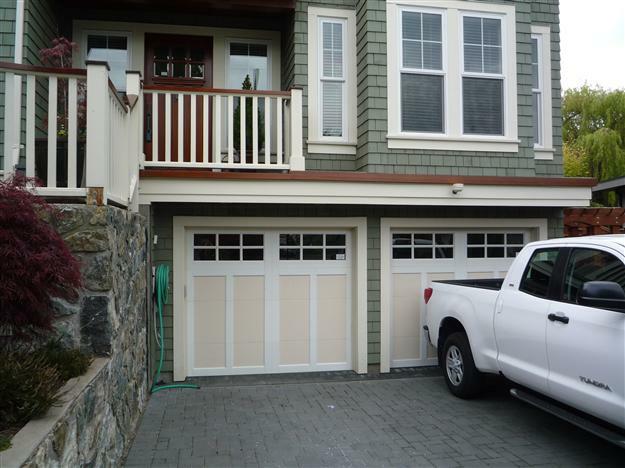 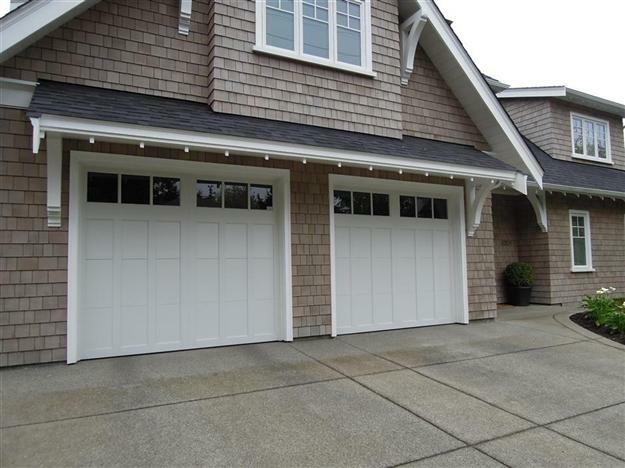 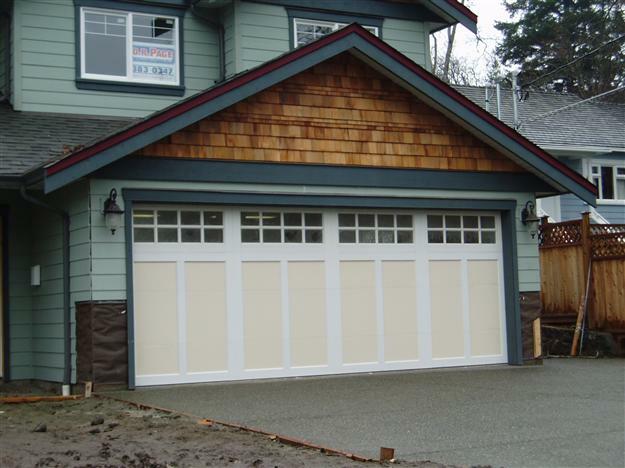 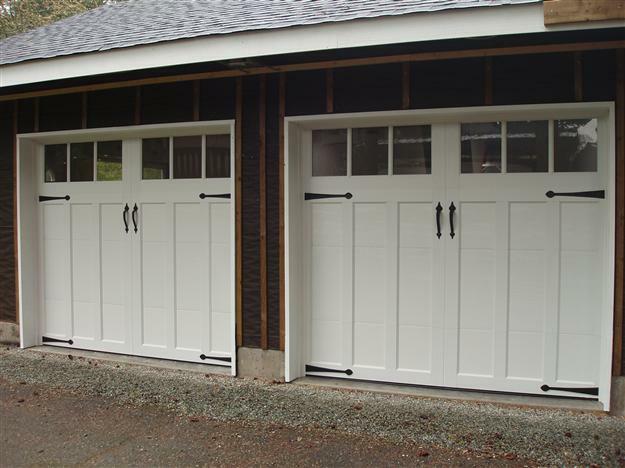 A steel, insulated door with the addition of custom composite overlays. 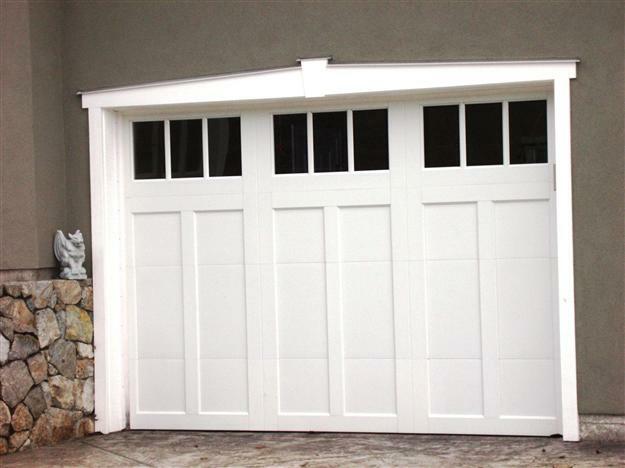 Over 50 designs available with many glazing options, including arched tops. 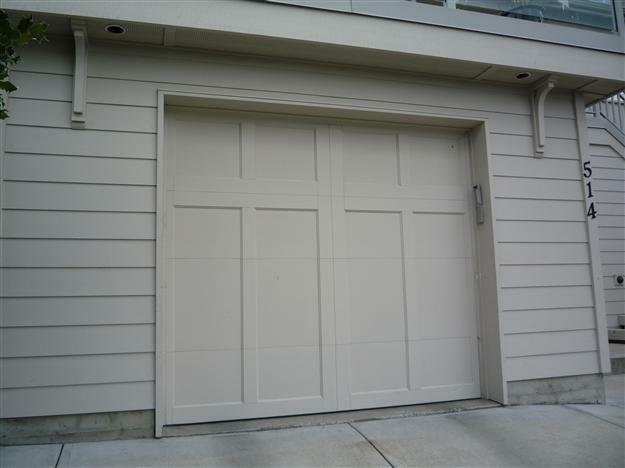 White composite overlay on a factory prefinished base door, available in 4 colours, with matching or contrasting overlays. 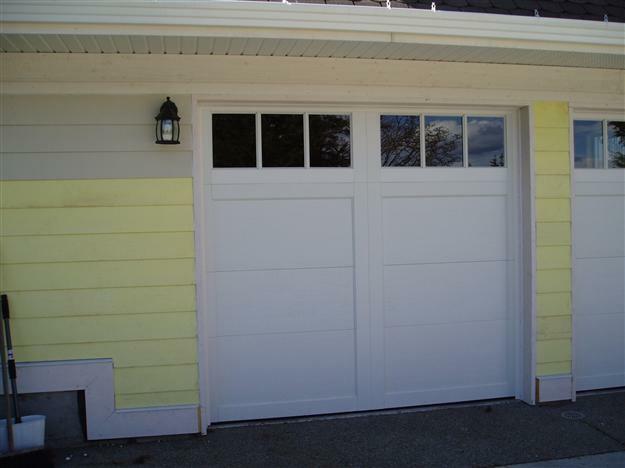 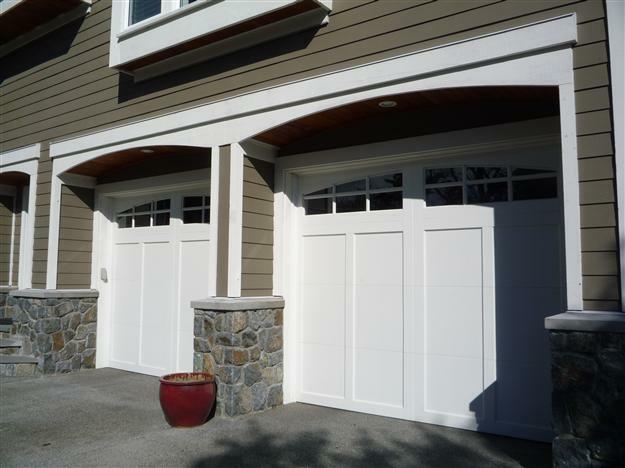 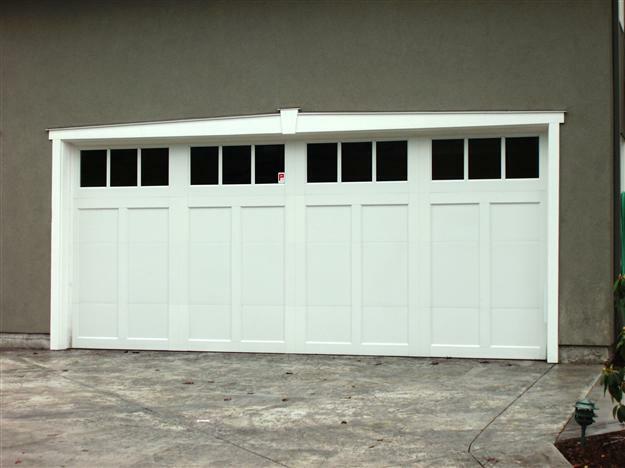 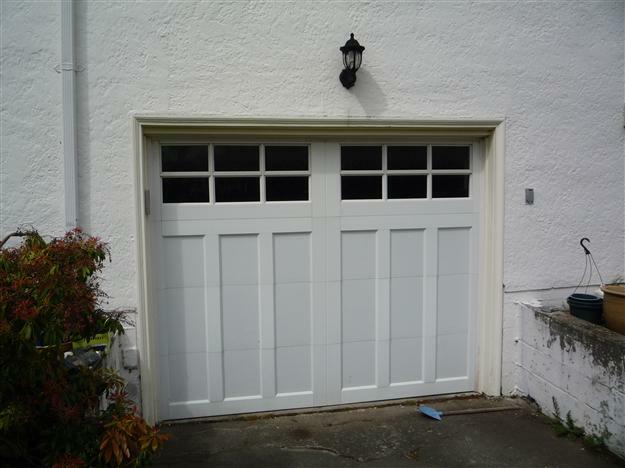 Doors and overlays can be custom painted, by the homeowner, following the manufacturer’s recommendations.